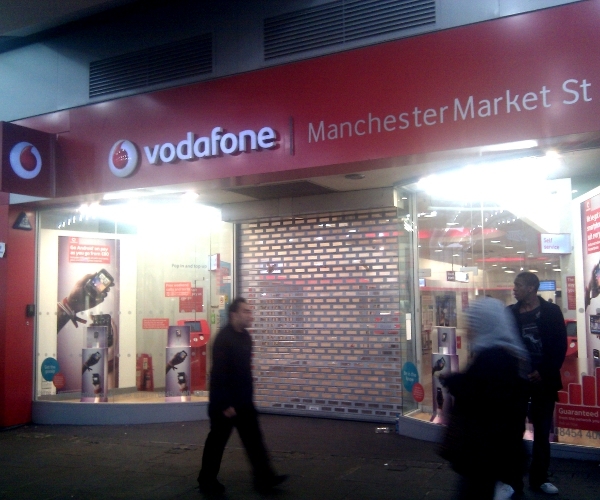 A number of Vodafone stores across the UK closed early today after members of the public staged blockades outside them over claims the company has dodged a six billion pound tax bill. Protesters believe the money could be used help stave off huge public spending cuts in the UK as the government looks to reduce national debt. Throughout the day, the hashtag #ukuncut has been trending on Twitter, with reports of store closures in London, Bristol, Liverpool, York and Glasgow among others. As our pictures here show, we found the Manchester Market Street branch closed this afternoon. 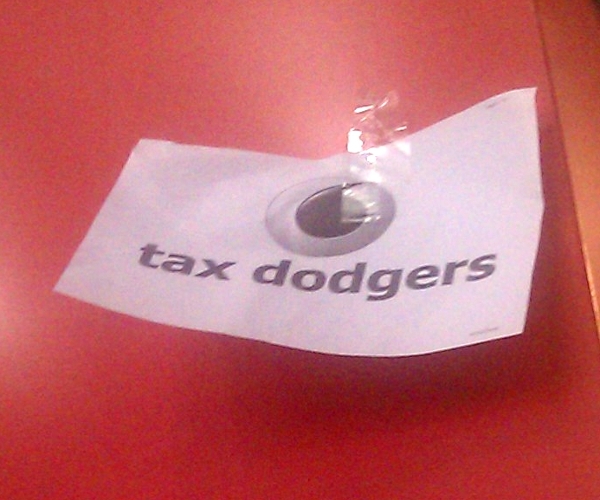 While no protesters were present while at the time, one of their “Tax Dodgers” notices remained stuck to the outside of the store. The video below, meanwhile, was captured at protests today in London. Vodafone denies the claims that it is avoiding tax payments, telling the BBC “We pay our taxes… Reports suggesting that we have an outstanding tax bill for £6bn are incorrect, as this was never the case.” A spokesperson for HMRC, the government department charged with tax collection, described the £6bn as “An urban myth”.